You’ve created a beautiful website which has taken months of preparation, from briefing designers and web developers, to collating content and making sure it ticks all the right boxes. You push it live and wait for the sales and leads to pour in but…six months have passed and there is still no change. You don’t have access to any relevant data behind your website, and have no idea what the problem is and/or how to fix it. This is where the importance of having Google Analytics comes into play. For most of us the digital landscape has become a way of life, and for marketers, data and results of campaigns only serves to amplify that trend. With our growing dependence on finding what we need online it is crucial that businesses have a highly engaging and user friendly website. Whether your website is there as an information tool or as an e-commerce platform, it is essential that relevant data is constantly being collected. With digital becoming more and more competitive, monitoring our website results and analysing user behaviour is key. By installing Google Analytics, you will be able to track and monitor these trends on your website for free. It will also allow you to set and measure business objectives and determine internal KPIs. To set up your Analytics, you will firstly need to create a Google account. Once you have set this up, install the tracking code via your “Source Code” and within a day the data will start to filter through. If you do not have access to your Source Code, ask your web developer who can provide you with this. Page Views: This tells you how many views your site has had each day. Bounce Rate: This measures how many users clicked off your website after one page. If you have a high bounce rate, this indicates that the user isn’t quite connecting with the page they have landed on. Average Time on Site: If you find users are spending a fair amount of time on your website, this will indicate the content has struck a chord with them and they are taking the time to look through your site. New Visits: As much as returning visitors indicate existing user relationships, new visitors will indicate the rate in which your brand is growing. Traffic Sources: If you have set up an Adwords campaign or are engaging on Social Media, this will show you where your visitors are coming from. For example, if you are spending a lot of time and budget on Facebook but nobody is coming to your website from this channel, this implies that this isn’t the right traffic driver and your budget should be spent elsewhere. Keywords: If you are actively engaging in SEO, this feature will allow you to see if your keywords match your online activity. Top Page and Post: This tells you which of your pages are the most popular and means you can utilize these for more engagement. By setting up “Goals” you can measure particular action points on your website. By setting up your own goals, you can closely monitor the site performance and how users are interacting with your pages. This data will put you in a better position to determine what is and isn’t working from which you can determine how to make improvements to the website for a better user experience. 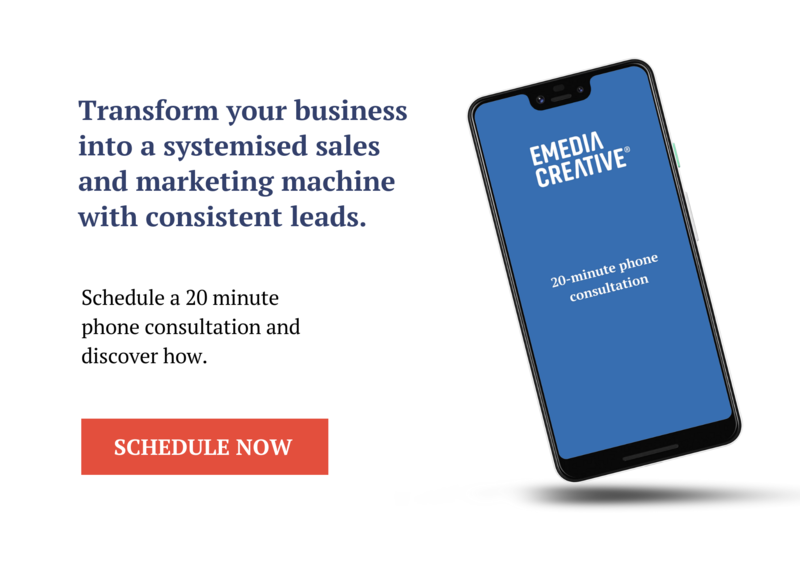 For more information on Google Analytics, why not give the team at Emedia Creative a call and we can discuss collating some meaningful data from your website.